Cleanse and tone as normal and don’t wear any make-up if possible. Also bring along some photos of looks that you like and looks that you don’t like. Makeup is a very personal thing and your idea of natural might be very different to your makeup artist’s. How you prepare for your trial is hugely important. This is something you should be thinking about in advance. Once you book your makeup artist, start to plan your preferred look so by the time your trial comes around you are fully prepared. Gather pictures from magazines or online that you like. Really think about how that makeup will look on you rather than how pretty the girl in the picture looks. You don’t have to like the entire look but you may like the eyes or the dewy skin or the lip colour. It is also really helpful to your makeup artist to know what you don’t like. It is also good to bring photos of yourself. This is how your makeup artist will understand the level of makeup and style you wear. 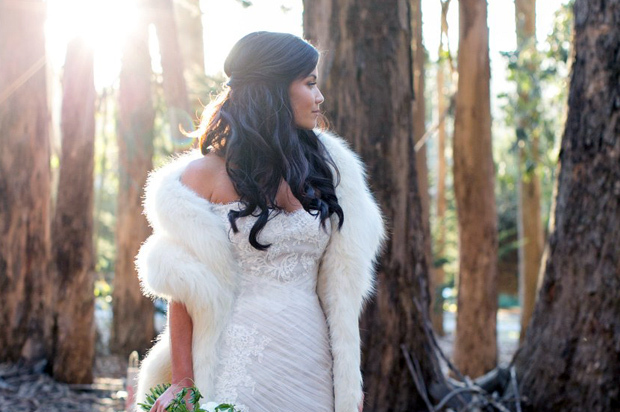 After all, most brides really want to look like themselves only better! Look after your skin. This is something you need to start focusing on as soon as you set your wedding date! Get your skin in good condition not only for the big day itself but also for your trial. 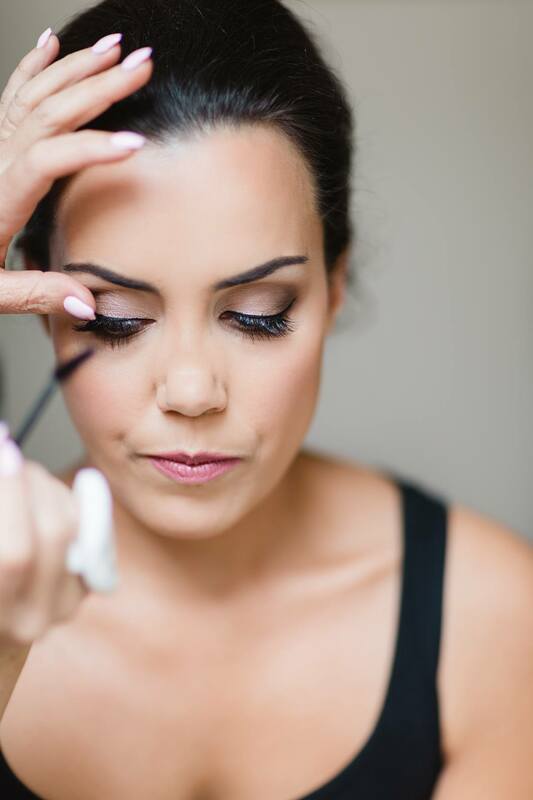 If you want fresh radiant skin for the wedding, you need to put the work in beforehand. Makeup won’t look as good or last as long on neglected skin. Wear white to your trial. If you plan to go for a pretty pink lip, it’s never going to look right next to a red top! If you plan to wear fake tan for your big day, it’s really important you wear it to your trial. Lip colours etc. can look very different with and without fake tan. 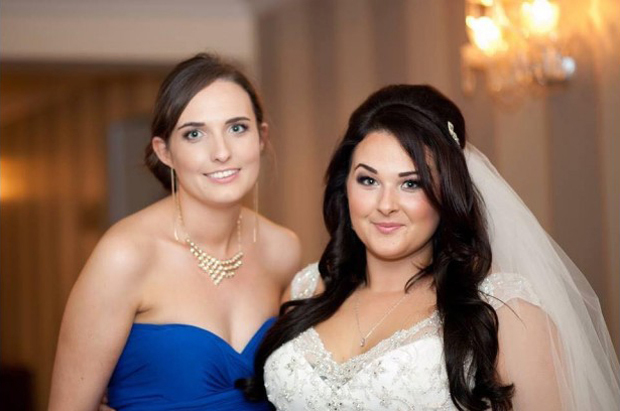 On the day of the makeup trial I advise my brides to have a couple of pictures with them that will give me a better idea of the overall look – some pictures of their wedding dress, a picture of their hairstyle (they may have had their hair trial at this point) and a few recent pictures of themselves at a wedding or another event where they’ve felt comfortable with their makeup. Bring pictures of makeup looks you prefer whether it be a colour of a lip or maybe it’s the eye makeup you like. 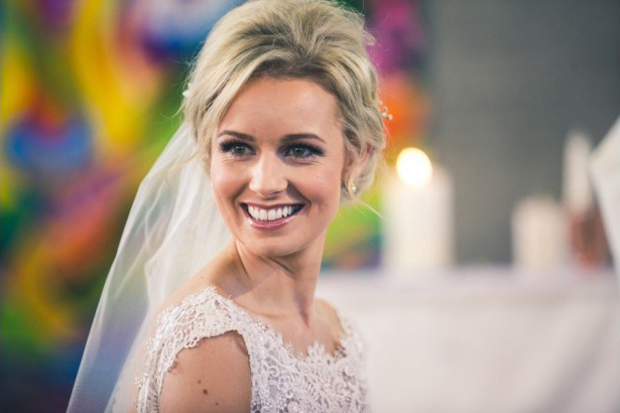 Wearing something pale in colour either cream or white and that fits loosely around the neck area lets me see the skin tone properly and gives the bride a better understanding as to how a white or ivory dress might look against their bridal makeup look. If you are intending to wear fake tan on the day, whether it only be a light one, feel free to wear a little bit of instant tan on the day around the neck area and it will give you an even better idea for the big day. I always tell brides to arrive make up free (I know sorry!) and if you plan to wear tan, maybe have some on if possible. Wearing a white vest top is a good idea so we can get a feel for how the décolletage area will look against foundation colours etc. If you plan on wearing your hair up, then wear it up and vice versa. Bring your screen shots of looks you like or don’t like but bring actual brides’ makeup not airbrushed celebrity photos! For your trial a few tips that I find work really well are the following… try to wear a top with a neckline and colour similar to your dress. Do not arrange your makeup trial within a few weeks of having any type of medical facial done, skin will be shedding dead cells and will in turn not be a true reflection for you. If you can arrange for your hair trial to take place on the same day, it’s an added bonus to see the full look together. For your trial, wear a top which is a similar colour to your wedding dress. Bring pictures of when you feel you looked your best. This will give your makeup artist a really good feel for your comfort level in makeup. Make sure there’s enough room on your phone to take pictures as you’ll need to see the makeup in a photograph to know how it’s going to look in your photographs forever more. When choosing your artist, have a look at their recent work and their style! This may not suit you, it is the same idea as picking your photographer, they are all different. 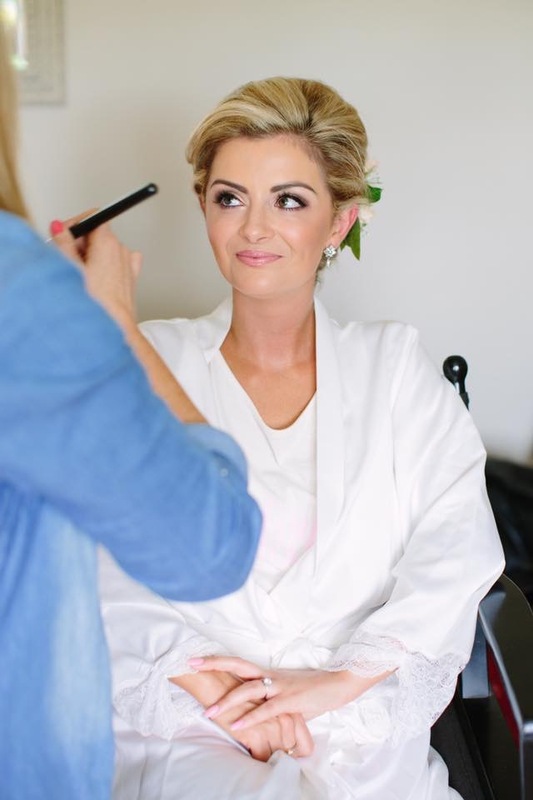 Booking a makeup trial at least six months before your big day gives you the chance to create the perfect look for you and if you are not happy with the makeup artist you have time to look for another. Your makeup artist should go through all your expectations for your look and guide you towards a look that suits you, your colour and theme of the day. I suggest saving images of different makeup looks that you love – create a Pinterest folder of all your favourites and show them to your makeup artist. Remember also to be realistic! A lot of photos you see are airbrushed and have the colour enhanced. Checkout my Pinterest page for some inspiration. You should arrive to your makeup trial with no makeup on, bring any images of makeup looks that you like and some photos of yourself in your normal makeup style. Wear something comfortable. 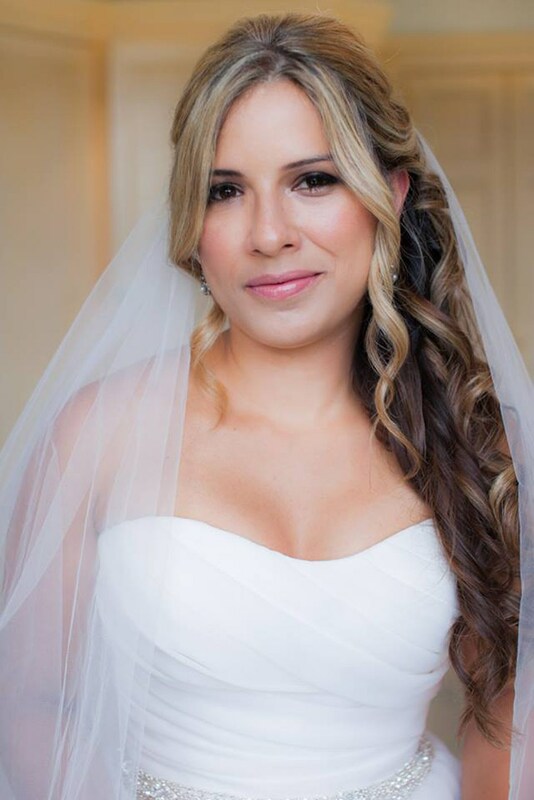 When booking your bridal makeup trial, you should think about the look you would like to achieve, I always ask brides to try come bare faced, no makeup. If you have a lipstick you think you would like to use, bring it with you. 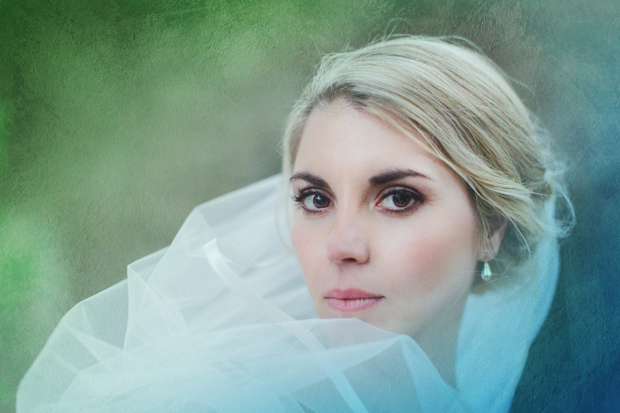 I advise a bridal trial 3-6 months before the big day. It’s best to have your dress and any theme you may have in your head, i.e. if you would like a vintage look or classic etc., a photo of yourself in how you normally wear your makeup I find is good as it gives the makeup artist a good idea of what way you like it yourself. 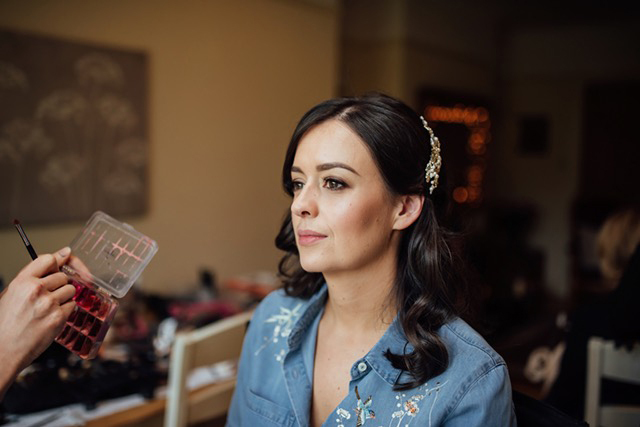 It’s also helpful to bring some photos of makeup you have seen whether it be a friend’s wedding, on Google images or Pinterest, these are just a guideline for you both to help achieve the look. Also if you have any idea of your hairstyle too, this helps to give the artist an overall view and idea of what you would like. And if you plan on wearing tan on the big day, it’s good to have this done for the makeup trial, and a light coloured top that is a similar contrast to your dress.